Negative health effects of exposure to whole-body vibration are prevalent in the industrial world today, particularly in mining where heavy earth-moving equipment and off-road vehicles are necessities. An illustration exhibits vibration in three directions: vertical (z), side to side (y) and back to chest (x). Photo courtesy of NIOSH. 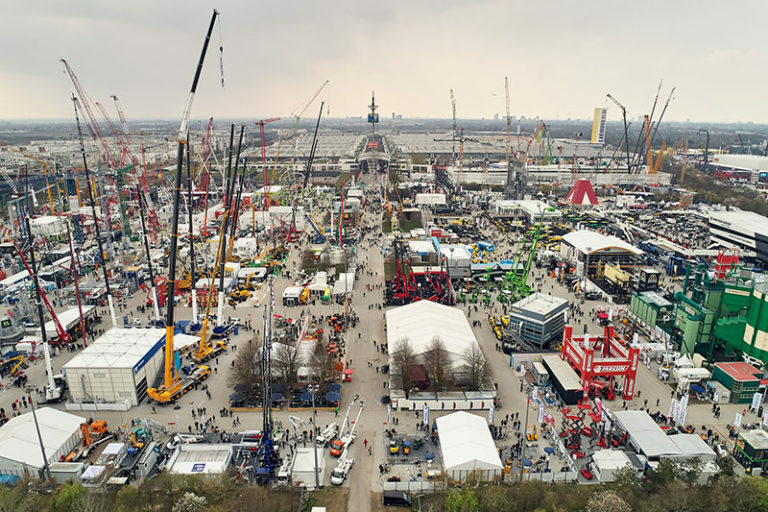 Heavy machinery produces whole-body vibration and mechanical shock exposure to equipment operators when operating on rough surfaces and under harsh conditions. This places a significant burden on the health and safety of exposed mine workers. Whole-body vibration exposure commonly occurs when a person is in contact with a vibrating surface – for example, while sitting on a vibrating seat, standing on a vibrating floor or lying on a vibrating bed or mat. Seated people exposed to whole-body vibration are also often simultaneously exposed to local vibration of the head (i.e., from a headrest), the hands (i.e., from a steering wheel) and the feet (i.e., from the floor). Vibration may also enter the body from contact with the seat backrest. The primary characteristics of whole-body vibration are vibration frequency, magnitude, direction and duration. Vibration frequency is expressed as the reciprocal of the period in hertz (Hz). Magnitude is expressed as displacement, velocity or acceleration. In relation to the human body, direction is expressed in terms of vertical (head to foot), side to side (right to left) and back to chest. Duration is time interval of the exposure. Humans are not typically exposed to vibration as a static, periodic signal in the real world. Instead, exposures include many simultaneous waves of varying frequency, magnitude, direction and duration. Therefore, the effects of whole-body vibration on the body of a mine worker are complex and can be substantial. Evidence shows that cumulative exposure to whole-body vibration adversely impacts the health and safety of exposed mine workers. Moreover, whole-body vibration can contribute to the development of musculoskeletal disorders of the spine among exposed workers. A significant positive association between whole-body vibration exposure and low-back pain was reported by NIOSH in a review of 19 research studies. A key finding showed a strong correlation between whole-body vibration and low-back pain in 15 of the 19 studies reviewed. Mining equipment-induced vibration includes a broad range of frequency content and varies with time, depending on such factors as equipment type, task and operator skill. Exposure to such vibration can also cause fatigue or a lowering of motor performance capacity. Mechanical shock is an especially damaging form of whole-body vibration, since the mechanical energy is distributed over a range of frequencies. 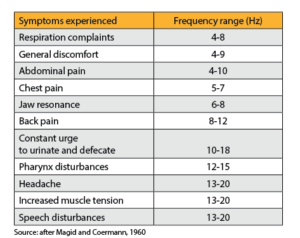 When vibration caused by shock is transmitted to a person at the natural resonant frequencies of the individual body parts or the body overall, amplifying resonance occurs. This effect causes body parts or the entire body to vibrate at a magnitude even greater than the applied vibratory force. 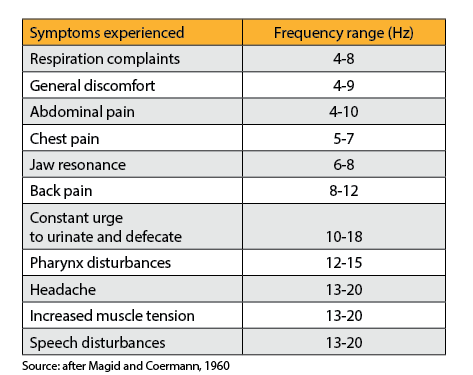 The frequency range considered important for whole-body vibration is 0.5 to 80 Hz. A conventional bulldozer seat can show amplification of vibration magnitude between 3 and 7 Hz in the vertical (Z-axis) direction, from 2 to 20 Hz in the back to chest (X-axis) direction, and 4 to 15 Hz in the side to side (Y-axis) direction. Injury statistics from the Mine Safety & Health Administration reveal important information relative to whole-body vibration. Between 2012 and 2016, surface mines and quarries reported a total of 523 non-fatal days lost injuries and no-days-lost injuries related to the back, neck and head in the surface metal/nonmetal industry. These included cases with accident types of struck against a stationary object and struck against a moving object. Eighty-three percent (434) were non-fatal days lost. Metal operations reported the highest percentage at 39.8 percent of the 523 non-fatal days lost and no-days-lost total injuries; stone operations reported the second highest percentage at 35.2 percent; and sand and gravel operations at 13.6 percent. Haul trucks, front-end wheel loaders and bulldozers show the highest number of injuries related to jarring/jolting and whole-body vibration: 330, 129 and 39, respectively. The body part most affected relative to these injuries was the back (426) and secondarily the neck (88). These injuries can be characterized generally as sprains and strains, which can result in costly injury claims. Using the Safety Pays in Mining website, the median cost per claim for a sprained back is estimated at $1,400 and could range from $540 to $31,800, with an average cost of $8,700. Similarly, the median cost per claim of a sprained neck is estimated at $1,700 and could range from $680 to $26,100, with an average cost of $18,000. 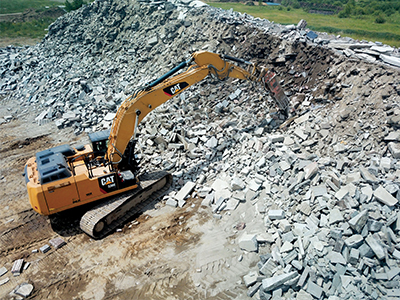 Typical incidents of jarring and jolting were caused by running over rocks, ruts or potholes, running into other mobile machinery or equipment, being struck by other machinery and equipment rollovers. Researchers have identified preventive strategies to reduce vibration exposure to decrease the prevalence of musculoskeletal disorders for drivers and lower the incidence of low-back pain from whole-body vibration exposure. Various factors were identified for reducing exposure intensity, duration and the number of exposure intervals. Investigators divided the factors into two groups: design considerations and skills and behavior. The seat and seat suspension; cabin suspension; location of the cabin; tire condition, pressure and type; load of the vehicle; and vehicle maintenance were designated as design considerations. The weight, posture and experience of the driver; seat adjustment; driving speed; track condition; working schedule; and fitness made up the skills and behavior category. According to research findings, vibration magnitude is less for drivers who weigh more. Still, this finding only applies to smaller vehicles, such as forklifts and taxis. Reduced vibration exposure levels have been reported when vehicle drivers sit in a neutral or upright position with their backs in full contact with the backrest and with lumbar support. Research has also shown that driving experience can result in lower vibration levels. Additionally, driving speed affects vibration exposure levels significantly in that increased speed results in increased vibration exposure levels. Moreover, driving speed appears to influence exposure level more so than road surface condition. Nevertheless, road surface condition does reduce vibration exposure magnitude effectively (i.e., a smooth dirt or gravel road surface in contrast to a rough road laden with potholes). All factors combined from both categories had a lowering effect on vibration magnitude. In comparison to the design considerations, factors associated with the skills and behavior category were highlighted as a preferred option for mine and quarry managers and safety personnel to explore in the short term. These factors are generally less costly, more easily implemented and may provide a better option for short-term planning. On the other hand, design consideration factors may be better suited to the long-term interests and planning of a quarry operation. Ideally, a successful intervention program that lowers exposures would include elements from both the design considerations and skills and behavior categories. Moreover, an intervention program has a greater likelihood of success if the scope and focus is limited to a specific group of drivers or a single driver or operator. The development and implementation of effective intervention programs is necessary to curtail the incidence of low back pain and other struck by/against injuries in drivers and operators exposed to whole-body vibration. Evaluating these programs in relation to both design considerations and skills and behavior is key to their success. Alan G. Mayton is mining engineer at the National Institute for Occupational Safety & Health (NIOSH), and Dan Wible is safety director at Allegheny Mineral Corp. Note: The findings and conclusions in this article are those of the authors and do not necessarily represent the official position of the National Institute for Occupational Safety and Health, Centers for Disease Control and Prevention. Mention of any company or product does not constitute endorsement by NIOSH.